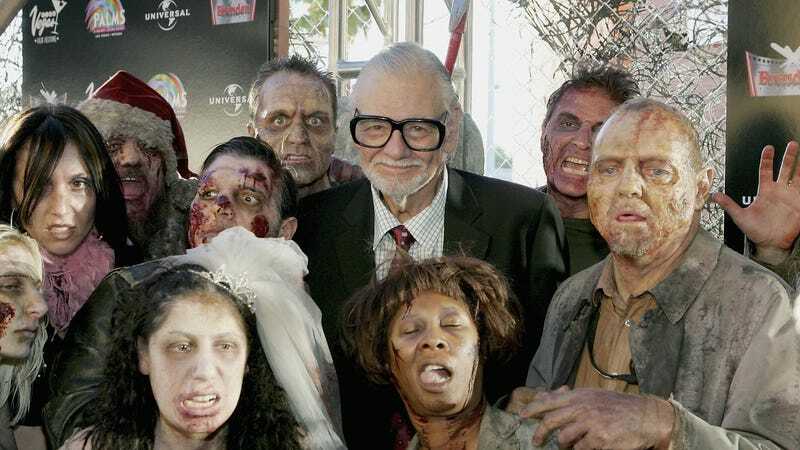 In a morbidly appropriate development that seems perfectly suited for tasteless puns, a zombie novel that George A. Romero was working on when he died last year will be—ugh, we’re sorry for this—resurrected so it can be published next year. This comes from Entertainment Weekly, which says that Daniel Kraus, the co-author of Guillermo Del Toro’s book version of The Shape Of Water, has been tapped by Romero’s widow and former manager to complete the draft and get it ready for release. The official synopsis for The Living Dead explains that it will follow several people in three different time periods over the course of a zombie apocalypse, with the characters including a handsome newsman who hates his life, a woman studying the zombie outbreak from a bunker, and—hinting at the sort of plot point he’d include without worrying about money—the helmsman of a nuclear submarine. The synopsis implies that Romero had also planned for some kind of twist at the end in which the zombie plague “begins to radically change,” but we don’t know what that’s all about yet (or if he left clear enough notes for Kraus to be able to follow it).